A can of soda could be the center of recent discrimination allegations made against an airline. 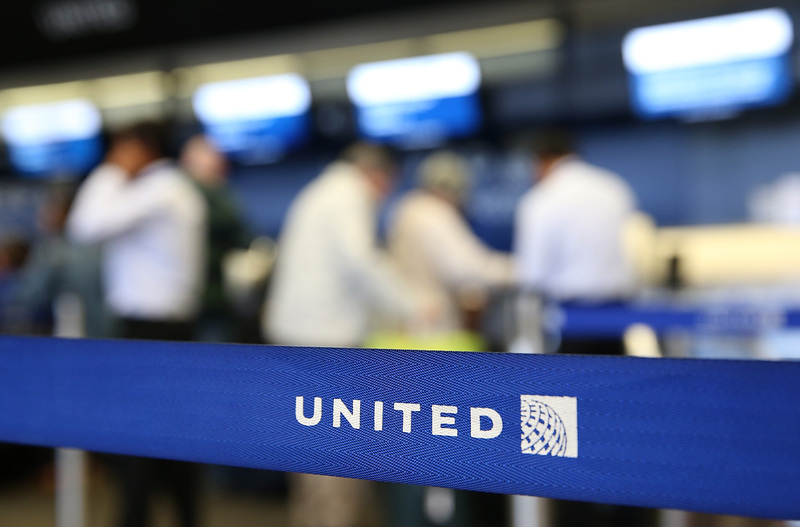 Tahera Ahmad, a Muslim chaplain, has accused United Airlines of discrimination. She claims a United flight attendant made derogatory comments to her after she requested an unopened can of soda for hygienic reasons on a flight from Chicago to Washington D.C., according to the Chicago Sun-Times. Ahmad, an associate chaplain and director of interfaith engagement at Northwestern University, posted about the alleged incident in a Facebook status Friday night. She claims the flight attendant gave her an opened can of Diet Coke, so she asked for an unopened can; the flight attendant allegedly replied with, "Well, I’m sorry," but said, "I just can’t give you an unopened can," so no soda for you, basically, according to the Sun-Times. But, then, Ahmad claims the flight attendant gave a man sitting near her an unopened can of beer. When Ahmad asked the flight attendant why she could give the man an unopened can, the flight attendant allegedly replied, “We are unauthorized to give unopened cans to people, because they may use it as a weapon on the plane,” according to CNN. United is a company that strongly supports diversity and inclusion, and we and our partners do not discriminate against our employees or customers. There is policy and procedure for the beverage service, and there is no differentiation between opened and unopened cans. When a passenger requests a full can of soda, it must first be determined that enough quantity exists to provide beverage service throughout the cabin. I don't believe that was the case here, as the passenger was offered a full can of soda. According to CNN, when Birge was asked about the "weapon" comment, he said. "I am unaware of an aviation incident involving a can of soda that was ever used" in that manner. The flight attendant also acknowledged that the man who yelled at me was wrong for doing so and apologized that her behavior led to that. She acknowledged it was unethical and said he never should have said anything. Ahmad also claimed the pilot of the flight apologized and walked her to the service desk upon landing so she could file a formal complaint. Ahmad's Facebook post went viral and prominent Muslim activists started the hashtag #UnitedForTehara on Twitter. It is illegal for employers to discriminate against employees based on religious beliefs, and so it is also illegal for employees to discriminate against their customers. Though Ahmad said the incident left her in tears, she doesn't plan to go after United in the court room, according to CNN. This time I was being treated as a threat to everyone around me 30,000 feet above the ground and being told that I could use a can of Diet Coke as a weapon. And no one said anything. Now, supporters across the web are calling for a boycott of United after Ahmad said the airline allegedly "trivialized" her experience.